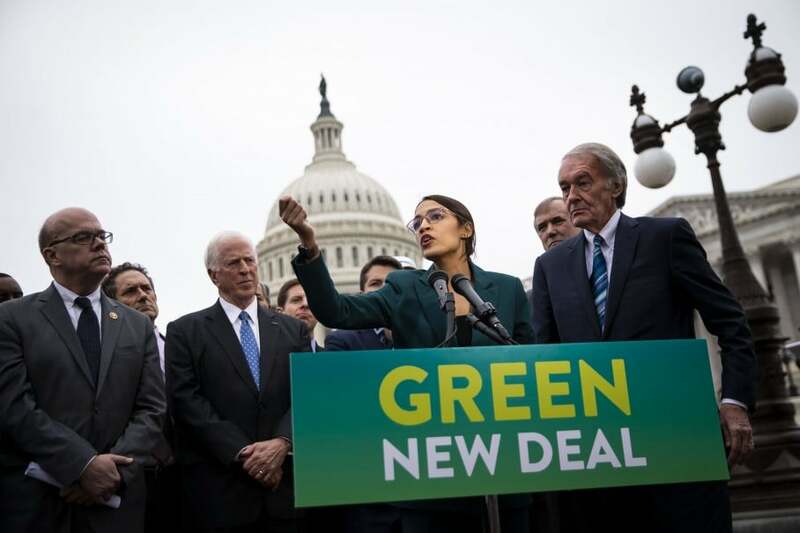 The Green New Deal (GND) is a resolution currently in Congress that is greatly pushed by Freshman congresswoman, Alexandria Ocasio-Cortez, and Senator Ed Markey. What is the Green New Deal? It is a set of proposed economic stimulus programs in the United States that aims to combat climate change. It includes a carbon tax which taxes people who use fossil fuels for their transportation and a $15 minimum wage to help American workers relying on the hourly pay. Some pros are that the resolution deals without environmental, economic, and social issues interchangeably. It provides aspirations for the country’s future as it deals with these issues. It would promote new urban planning, help with living wages, and reduce America’s carbon footprint. However, some call it too ambitious. The number of initiatives inputted is too overwhelming as it will lead to an increase in taxes, high costs, and loss of individual freedom on certain everyday choices Americans make. The amount of money will affect companies residing in the U.S. as they rely on low taxes and local businesses would be negatively affected. On Monday, March 19th, 2019, the Young Democrats Club alongside American Politics Debate Club discussed the GND through a formal debate. The affirmative side was the Young Democrats Club while the arguing side was the American Politics Debate Club. Both clubs took some time, in the beginning, to go over their points. After fifteen minutes, the debate started and the team captains made their speech. The way the debate worked was that there were two moderators. They first asked a question on the affirmative side. Afterward, the negative side was asked the same question. The affirmative could make a rebuttal if they wanted to. Some people on each team went twice and made sure to get their points across as much as possible. After the questions were asked and each team responded, the moderators made sure to have slips for everyone in the room to vote, including the debate teams. Finished voting, each club president went up and counted the votes slowly for accuracy. The affirmative side had five votes and the negative side had eleven votes. The negative side won the debate as they were able to make their points stronger. The importance of the debate was to analyze the potential benefits and harms that come with it. The costs weigh heavier but it is a needed resolution. With many opinions floating around, it is important that climate change is considered in legislation within the next few years before we reach the peaking point. With a reasonable act, it may lower the carbon footprint while benefiting our society.